Gary Enoch contributed these photos & info on his father's Class "H" Modified racer. From Gary Enoch: "Don Miller driving dad's car for the first time after being built. Don liked to test race every car he built to shake it down first before he turned it over to the new owner. 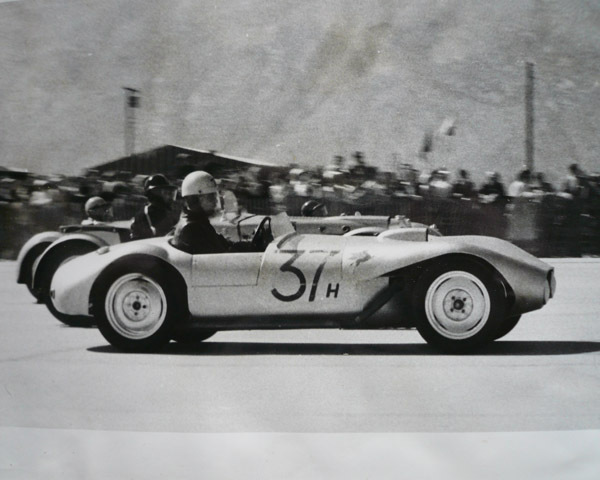 Race was at Palm Springs, Feb. 26, 1956." 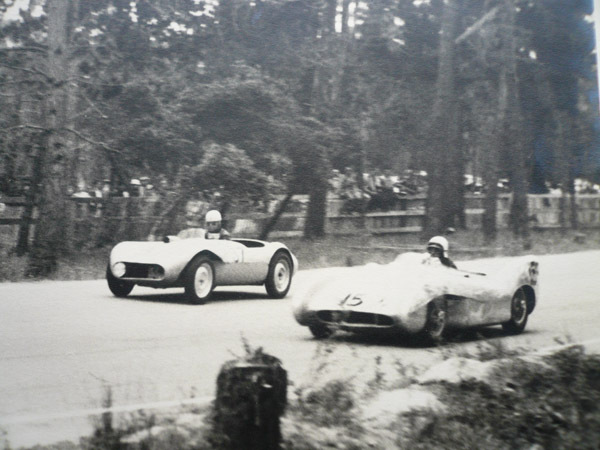 From Gary Enoch: "Don driving dad's car at Pebble Beach on April 26, 1956. Dad didn't have a national license yet so Don drove the car instead. Don finished 2nd in class to a strong field of H-Mods." 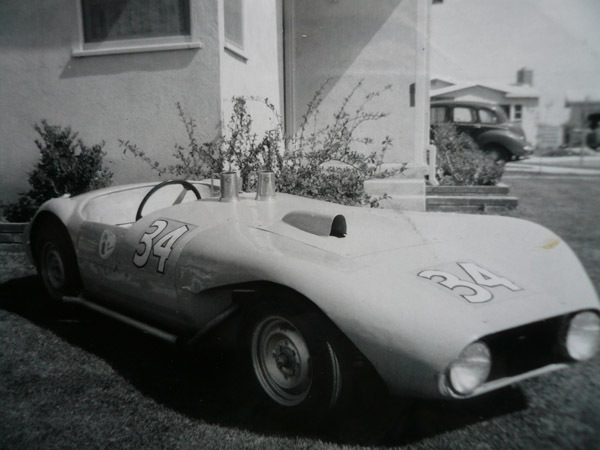 From Gary Enoch: "Just a neat picture of the car in front of our house in Torrance in 1957." Next: Cumberland, Maryland -- Photos!